The terrorist groups affiliated with the Islamic State have an extensive presence not only on social media accounts but also on the popular end-to-end encrypted messaging app Telegram through which they communicate with their followers and spread terror propaganda materials. 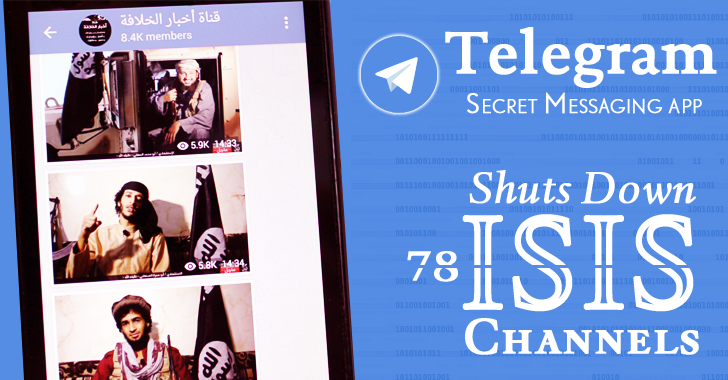 Telegram has always been terrorist's favorite, but ISIS had been using the app since October, when Telegram introduced an end-to-end encrypted Secret Chat feature that lets users broadcast messages to an unlimited number of subscribers. Moreover, Telegram also provides self-destructing message feature that allows users to set their messages to self-destruct itself after a certain period of time. "We were disturbed to learn that Telegram's public channels were being used by ISIS to spread their propaganda," Telegram writes. "As a result, this week alone we blocked 78 ISIS-related channels across 12 languages." 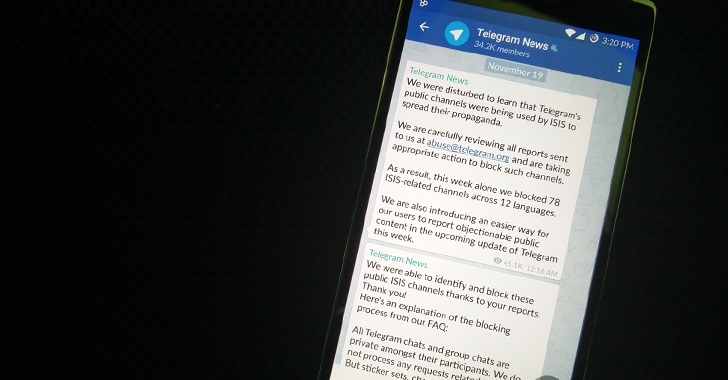 In the wake of the horrific Paris terrorist attacks, the Telegram creators said they are carefully reviewing all user-submitted reports sent to them and are taking appropriate action to block such channels that are used to spread terror-related contents. Just after Anonymous declared war against ISIS, the militants started encouraging its members and followers to use Telegram secure instant messaging app, so that they can effectively make their conversations invisible from Government spies. We also reported that ISIS issued some basic Internet safety tips to its followers via one of its Channel on Telegram, teaching terrorists how to avoid being caught or hacked by Anonymous. No doubt, ISIS is leveraging the power of Social media to spread its message around the globe and deleting just 78 ISIS-affiliated Telegram Channels and 5,500 Twitter accounts won't stop them. According to our analyses, there are still more than 100 other ISIS Telegram channels and thousands of Twitter and Facebook accounts affiliated with ISIS and each followed by thousands of Jihadists. 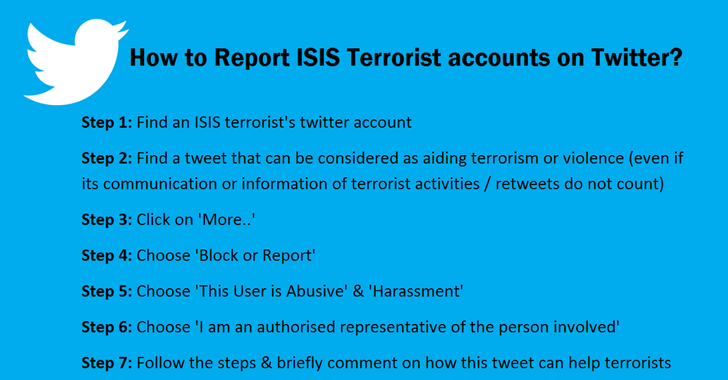 So, if you come across any terror-related messages and want to contribute to preventing the terrorists from spreading their roots via social media platform, you can file your reports to the respective social media. For Telegram, File your report at abuse@telegram.org.